Eastbourne served up the perfect recipe of sunshine and wind with it blowing a strong 15-17 knots both days, but gusting higher. There was great hospitality and an amazing beach and shore team. What’s not to like! The quote of the weekend had to be when one of the competitors was sitting outside and described the club as “a second Garda”. 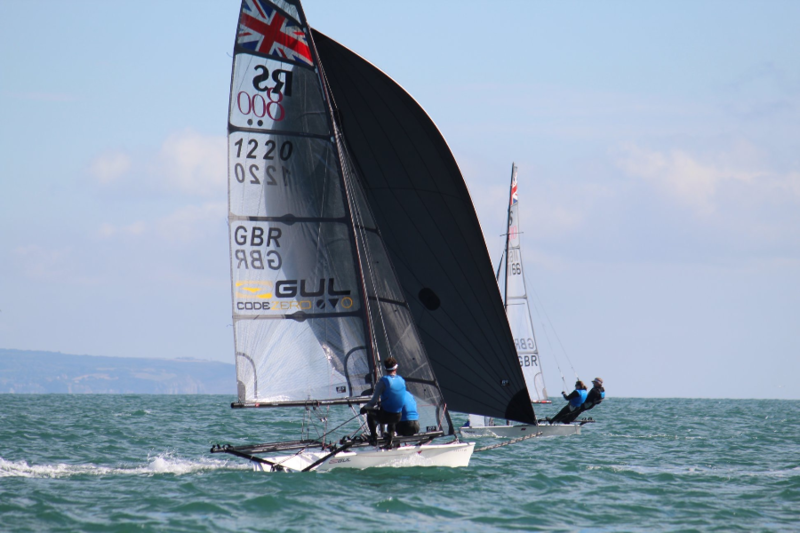 Nine boats made the trip from as far afield as Beer and were treated to a weekend of six fun filled, exhilarating races. 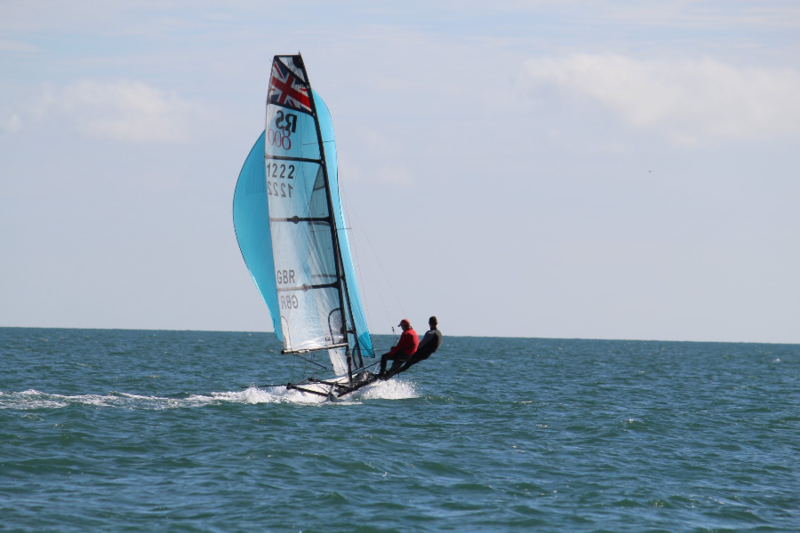 With wind against tide there were plenty of waves to test the skill and nerve of both helm and crew making it difficult to keep the carbon pointing towards the sky. With the start only five minutes from the beach, the first beats were a toss-up between inshore less tide and offshore slightly bigger waves but a bit more pressure. However, this wasn’t a difficult decision for some. It was a McEwen masterclass with Luke and Emma leading the way with five bullets. 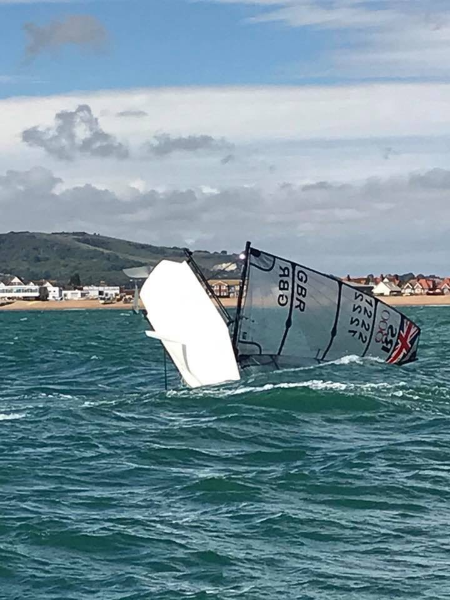 Second place was closely fought between the locals, and was decided by the Jenkins (Paul and Peter) forgetting rule number one – keeping the sails in the sky, as they tipped it in on the last race of the regatta. 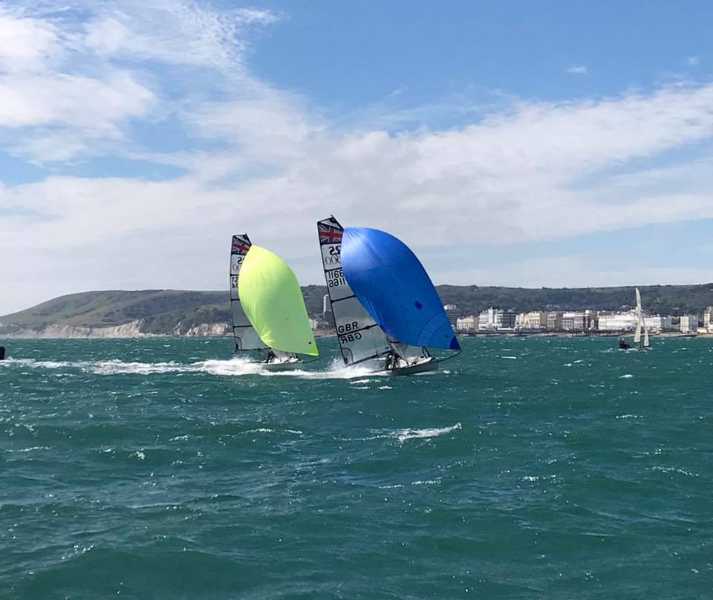 Andy and Allyson Jeffries then sailed from fifth at the windward mark to a 50th birthday win, however first having to pass Cameron and Darrel Moss who were showing great pace throughout the weekend. 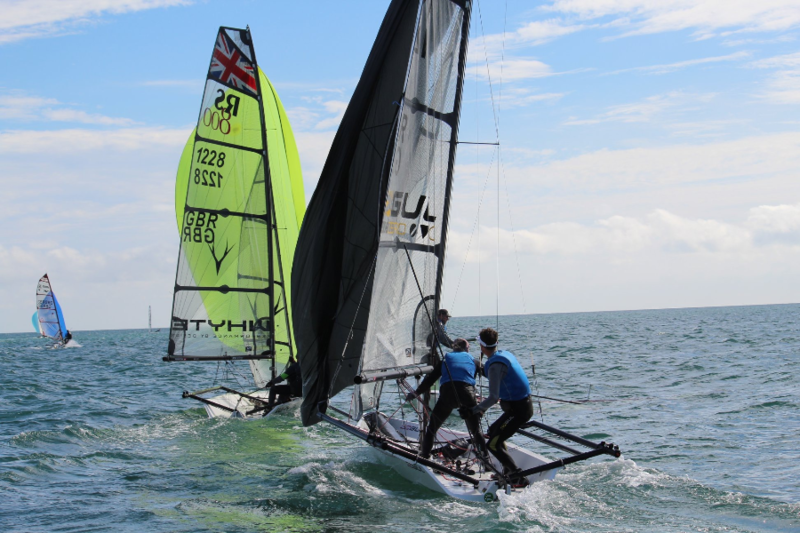 It is fair to say that the whole weekend was a great advert for next year’s 20th anniversary Eastbourne SSC nationals (the 2nd Garda). So if you are young/old, tall/short or just somewhere in the middle, get yourself a boat and come down from the 5-8 September 2019. There will be great sailing, even better socials and a whole team of volunteers working to make the regatta one to tell your grandkids about. What’s not to like!